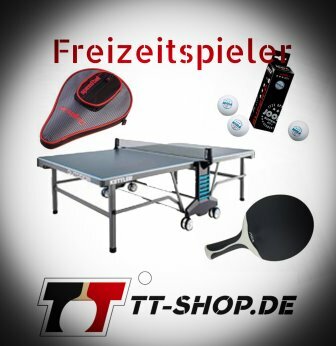 A table tennis blade for players with a controlled offensive gaming style is characterized by its good balance between speed and control. This leads to a positive feeling for the ball at pleasant speeds. Most of the players, who already master basic techniques, perform best with these kinds of TT blades: These blades are sufficiently fast in order to exert pressure toward the opponent. They also provide sufficient feedback to successfully receive spinny serves, and allow precise placements when doing counters or attacking strokes. The blade of a table tennis bat is not only a cut piece of wood, on which the rubbers will be glued. Keep reading - Table tennis blades for the controlled offensive The structure is far more complex: A blade consists of many different layers of varying thicknesses, which are glued with each other. The material, however, must contain natural wood (at least 85%). The other material may be of different origin, for example, plastics, and so forth. The table tennis blade is made of a core, the so called core veneer. This is the heart of the TT racket. Often, those core veneers are made of light and soft sorts of wood, such as abachi or balsa. Surrounding the core veneer, there are several other veneers made of harder wood (e.g. walnut or wenge). Finally, there is a finishing veneer, corresponding to the final (outer) veneer on both sides. Commonly, this is also quite soft, for example, abachi, koto, or limba. 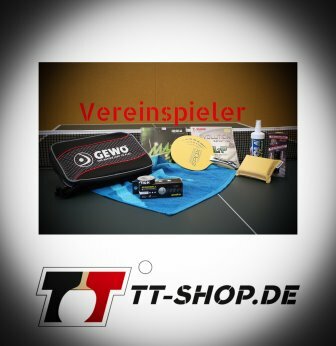 In general, hard table tennis blades are used for a fast game, they are suitable for attacking players. In contrast, soft(er) blades are used for a game with less speed, suitable for defensive players. If both woods are combined cleverly, there is still good speed at a good feeling for the ball. The veneers are also produced as a very fine, thin version. They are, therefore, referred to as fineline-veneers with a thickness of only 0.1-1 mm. They are glued with each other and will be cut into slices. Hence, the veneers will be glued as strips which are located next to each other. This results in even properties without the risk of warping, and in an additional weight due to the high amount of glue (because of the many, thin layers). Optically speaking, such fineline veneers are also implemented all the way down to the handle, which looks really nice and elegant. Considering all these gluing and bonding techniques with the many different blades/woods, another central point is to increase the area of the bat´s sweet spot. The sweet spot is known as the area of the bat at which the ball accelerates optimally and evenly, and at which the ball is highly controllable. The larger the area of the sweet spot, the better. However, this area cannot be precisely determined or calculated. Some manufacturers state that the sweet spot is located in the middle of the head of the bat, slightly below the geometrical center of the head (means without considering the handle). 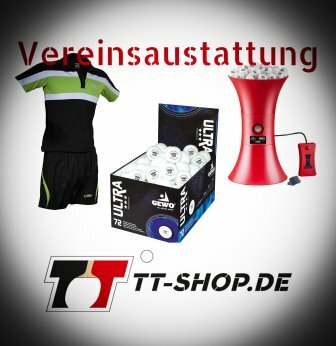 In the early 1970s, Martin Sklorz (the former "Bundeslehrwart" of the German Table Tennis Federation, DTTB) performed biomechanical examinations at the Braunschweig University of Technology which focused on the detection of the sweet spot. He and his research team even developed bats, but they did not gain acceptance. In order to enlarge the sweet spot, there are various techniques. For example, the integration of carbon, Kevlar, or glass fibers. By doing this, the ball contact time is reduced, however, at the expenses of the feeling for the ball and spin ability. To counteract this, metal foils are integrated and glued in between the veneers. Strictly speaking, this is forbidden, but the ITTF seems to tolerate this. Vibrations at the table tennis blade? The vibration behavior is also very important for optimal gaming properties of the racket. TT blades which vibrate ("swing") at a higher frequency accelerate the ball to a higher extent as compared to blades swinging at low(er)-frequencies. The vibration frequency depends on the material used, on the size of the club head (the smaller the size, the higher the frequency), and on the width of the bar of the bat (The larger, the higher the frequency. The bar is the (almost) triangular part of the bat which is neither covered by the rubber, nor by the handle). The handles are also optimized, for example, by hollowing and foaming them, or strengthening them via integrated carbon rods. Also, plastics are used for the purpose to reduce unpleasant vibrations.